A short trip today on the Harley-Davidson® from Broadford VIC to Phillip Island where we were to check out our accommodation and head straight to the track to begin our Corporate Box experience. The day started with nurofen, not at all prompted by the 900+k ride yesterday but more the post dinner drinks at the Broadford Pub. The first stop planned for breakfast (yep, more Macas) and to fuel up was the Service Centre at Wallan. From there the trip through/round Melbourne turned to crap. A car had broken down near roadworks on the freeway into town snail's paced stuff for 6 k's or so and me being very happy about the Harley-Davidsion Fan Kit for Touring Models whirring away keeping the air cooled V-Twin cool(ish). That done a reasonably clear run over the Westgate Bridge ending badly in a GPS misinterpretation that saw us leave the freeway one exit early. Back on track with not too much fuss saw us crawling through a long under-city tunnel enjoying the heady sensations over indulgence in exhaust fumes can provide. Thankfully though the city was put behind us and we were on a freeway out of town. We left the freeway near Pakenham, turned right and we followed the dots towards Phillip Island, the number of motorcycles or all descriptions heading in that direction steadily building. Soon enough the stress of the trip through the city slipped away albeit with a steely determination never to travel that way again. We followed a long line of bikes over the Bridge to Phillip Island and on to Cowes where without too much difficulty we located the accommodation arranged for us, The Waves. I was very pleasantly surprised at how good the accommodation was, and the plan was to get cleaned up and head straight for the track for lunch and soft drink and of course to watch testing, qualifying and any other races on during the afternoon. 15 minutes later we were back on the bikes and off to the Phillip Island Grand Prix Circuit where we registered, rode in and parked our motorcycles in Area A near the tunnel to the Pits. Nice! There was a small crowd there and bikes on the track, but we were hungry so straight over the walkway and into the Advantage Plus lounge where lunch was served. That done and a nicely timed beer Troy Corser, winner of the 1996 and 2005 World Superbike Championships dropped by, sat down with us and had a chat. Nice bloke. 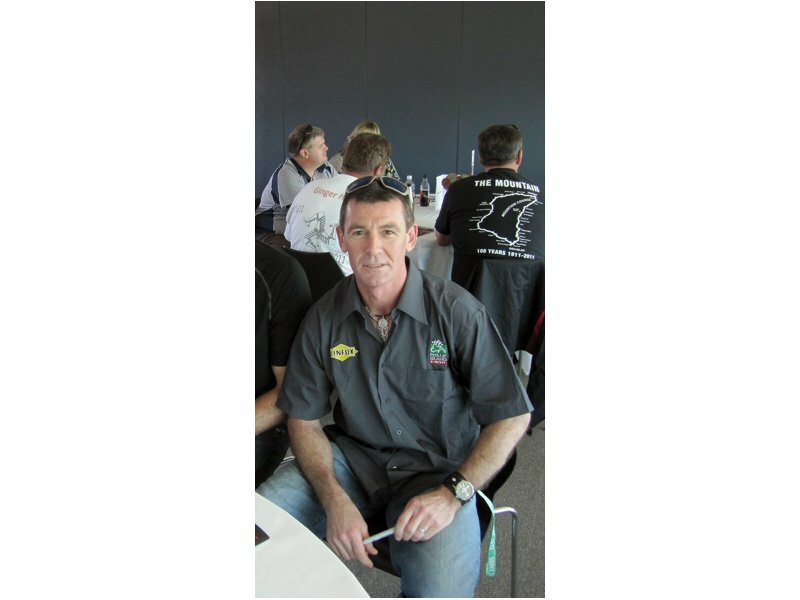 Conversation always flows freely with a room full of motorcycle enthusiasts and the people around us were from all over Australia and unlike us, had been to these events and Moto GP numerous times. Things were shaping up to be a good weekend, we only had to work out a way to get here without the bikes. Racing and chatting done for the day it was time to head back into Cowes where we quickly located the Isle of Wight, had a few Gin and Tonics and then a quite decent Italian feed at the Isola de Capri before ending the day.